“We have been active members and attendees of the Minnesota Recruiters organization and community for years and we’re excited to officially become an Underwriting Sponsor for 2018,” said Chris Dardis, VP of Human Resources Consulting at Versique. “This partnership provides an incredible opportunity for us to further engage with the Minnesota Recruiters community and support the organization’s goals and mission. In 2017, over 1,000 Minnesota-based Recruiting and HR Professionals attended a Minnesota Recruiters recruiting conference or networking event. For more information on the upcoming Minnesota Recruiters community and event announcements, visit http://mnrecruiters.com/join. 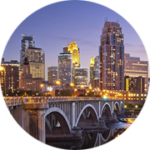 Minnesota Recruiters is one of the nation’s largest and most active regional networks of recruiting and human resources professionals. The organization focuses on providing cost-effective and leading-edge professional development, continuing education and peer-to-peer networking to its’ 7,000+ members. For more information visit http://mnrecruiters.com. Minnesota Recruiters is part of the Recruiters Network. For more information about the Recruiters Network, the communities, and recruiting conferences, visit http://recruiters.network. Versique is a single-source talent acquisition firm specializing in recruitment, both consulting and permanent placement. The Versique brand represents a powerful combination of “versatile” and “unique” as it hints at the concept of “search” in its pronunciation: ver-seek. Versique specializes in the following practice areas: Information Technology, Human Resources, Marketing, Engineering/Operations, Finance/Accounting, Sales, CPG (consumer packaged goods), Demand Generation, Family Owned Businesses, and Executive Retained Search. Versique has filled thousands of positions and its network of connections is one of the strongest in Minnesota. For more information, visit Versique. Versique also has a sister company, Parqa Digital Marketing,that specializes in helping other staffing firms gain online visibility. Distributed and published on PR News. Click here to download a copy of this press release.